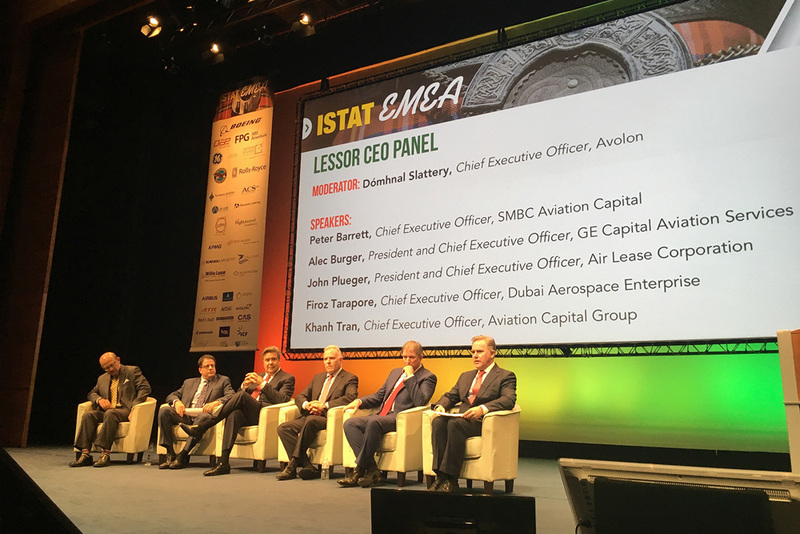 Speculative widebody orders have proved contentious for a panel of lessors at ISTAT EMEA in Edinburgh. He adds that the lessor might consider widebodies in three years’ time, but not while it focuses on growing in the single aisle market. John Plueger, CEO of ALC, disagrees, believing the reward of such an order may outweigh the risk. He notes that ALC is the launch customer of the 787-10 but has not yet signed up for 777X. Plueger says that lease rate factors for new widebodies have been “pretty stable”. He cautions that the market for the largest twin-aisle jets – the 777X and A350-1000 – is less certain. Alec Burger, CEO of GECAS, was more cautious on speculative widebody orders. Despite this, Burger acknowledges that the outlook for the widebody market can change, and that GECAS is opportunistic when it comes to ordering aircraft.